What Exactly Is A Red-board Shank? 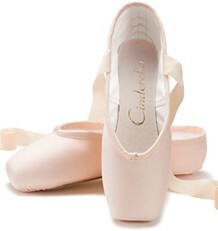 My very first pair of pointe shoes were Capezio Pavlowa which came with the #3 hard red-board shank. 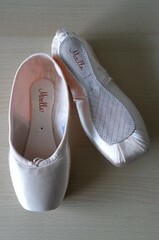 As I continue to write and research pointe shoe brands, I end up asking myself more questions. What I really wanted to know was the origin of the name “red-board” and what they were made from. 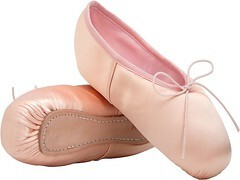 Materials used to produce shoe shanks are often classified as either high-grade or low-grade. Red-board shanks are considered a low-grade fiberboard because they are not as durable, are susceptible to moisture damage and peeling, and cost less to produce. 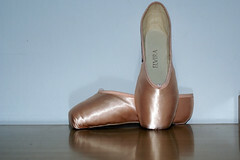 Another reason why pointe shoes are so expendable! 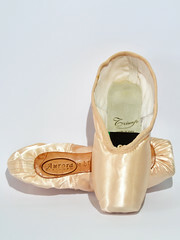 In all fairness, using a thicker, stiffer, high-grade fiberboard in a pointe shoe would mean difficulty for the dancer and would most definitely drive up the cost of production. 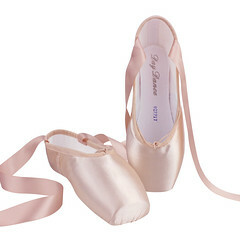 Some pointe shoe manufacturers like Bloch offer models that come with a red-board shank that has an inner layer of leather-board sandwiched between the 2 red-board layers. I will have to save my research on “shank sandwiches” for another time, but in the meanwhile, you can get a good idea how shoe-shank companies describe shank grades by visiting this website. 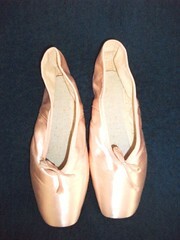 This entry was posted in Pointe Shoe Parts and tagged leather-board shanks, pointe shoe shanks, red-board shanks. Bookmark the permalink.